Recent years have seen a concern with how family and community relationships have changed across the generations, whether for better or worse, and particularly how they have been affected by social and economic developments. But how can we think about and research the nature of the present in relation to the past and vice versa? discuss varied aspects of family and community life, including sexuality, ethnicity, parenting resources, older people, intergenerational family life, solo living and many others. 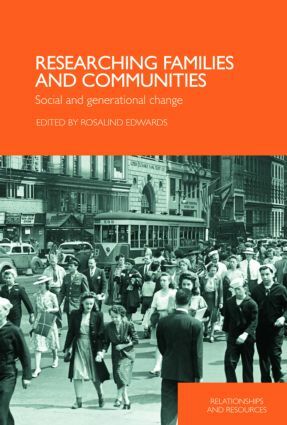 This book will appeal to academics and students interested in family and community across a range of social science disciplines, and to those in the social research field. Are community studies still ‘good to think with’?